Lina Mayorga X Vi.Ve. Apparel Capsule Collection | Fashion Fab News - fashion, beauty, celebrities, designers . I have been working more and more on my sustainable brand, Lina Mayorga, and I have really amazing things coming soon. Today, I am happy to announce to all of you that my collaboration collection/look with the boutique called Vi.Ve. Apparel is already available online. Vi.Ve. 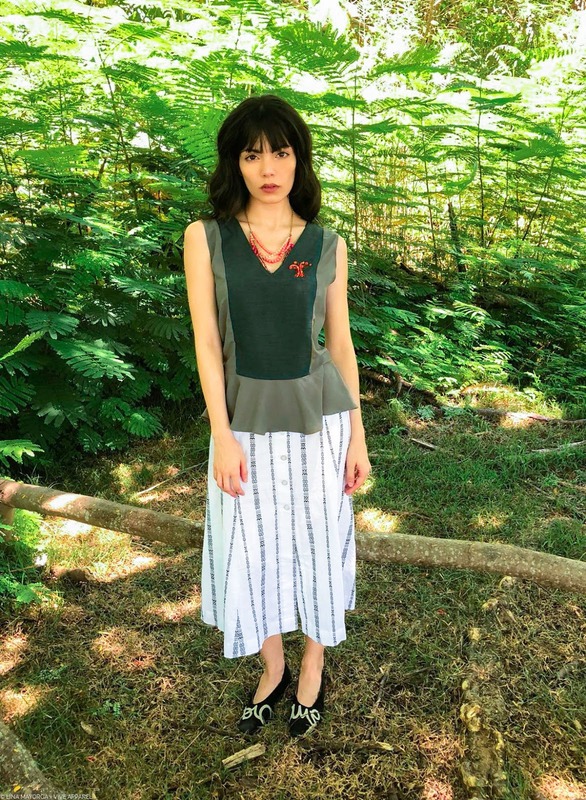 Apparel carries only sustainable pieces from ethical brands and their main goal is to help women to create a strong capsule wardrobe with high-quality pieces. The Autumn 2018 Capsule Collection draws inspiration from the majestic Flamboyant tree from Puerto Rico. This tree is orange, beautiful, and different. The clothes I designed were made of upcycled and organic materials with classic styles that would match with different staple pieces that you probably owned already. 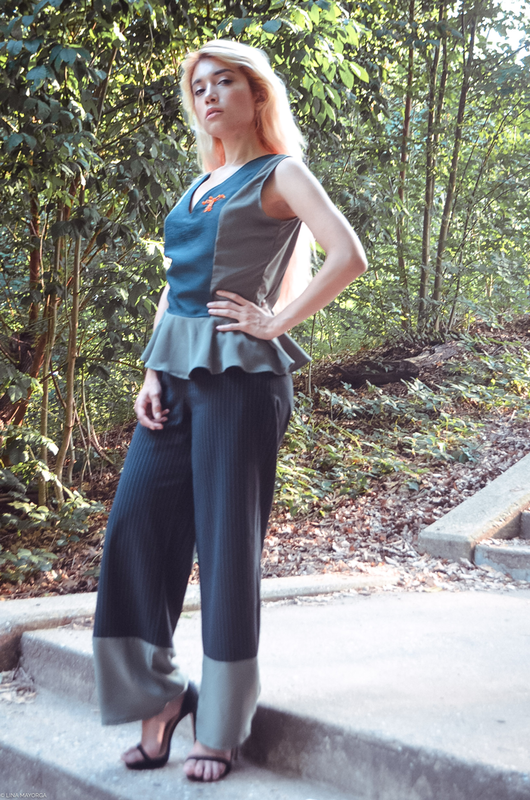 I created a flared pair of pants with upcycled striped black/white fabric mixed with green silky upcycled fabric on the bottom. The second piece designed for Vi.Ve. 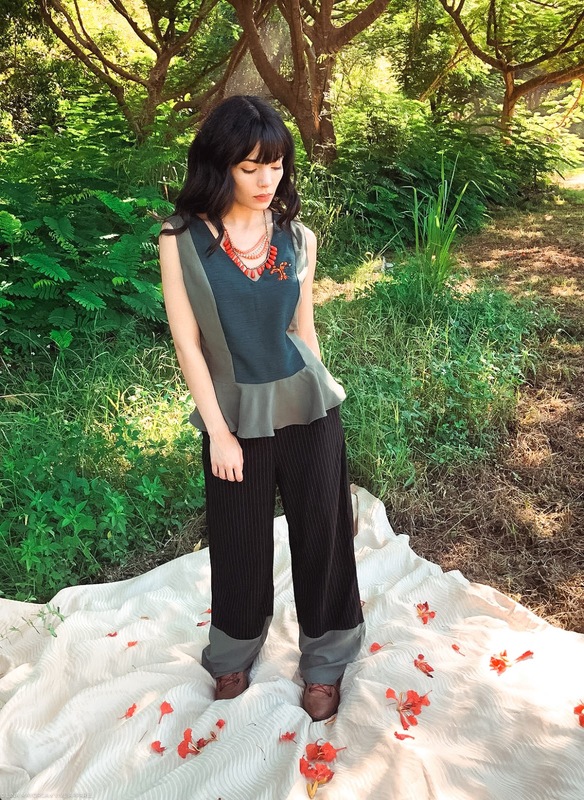 Apparel is a peplum top with two kinds of green upcycled fabrics and a small adorable embroidery of a Flamboyant tree adorned with glass recycled beads. Below you will find more photos of me wearing this look I created and I hope you like each piece. 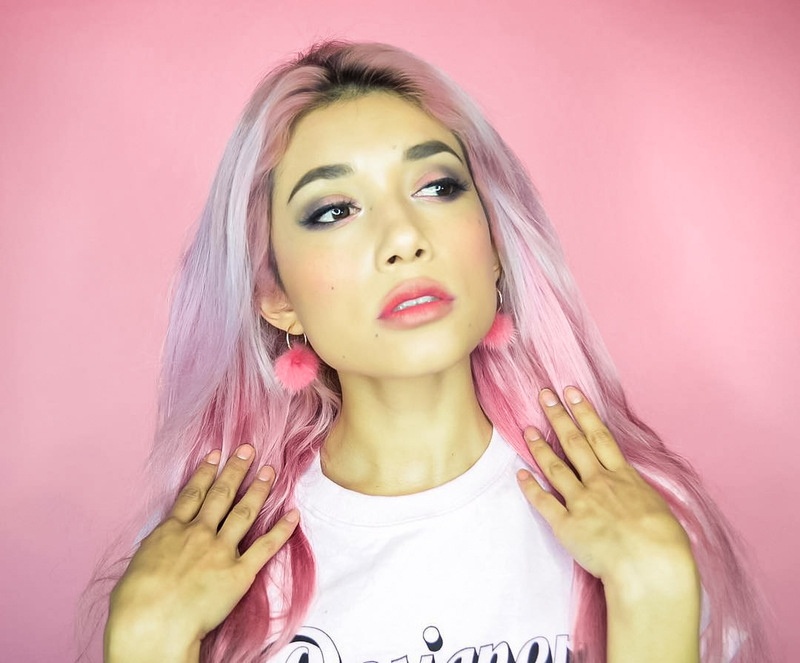 I styled my clothes in a more elegant way with heel sandals, small earrings, and my everyday hairstyle with soft coral makeup. The quantity of the clothes is limited since they are exclusive sustainable designs, so hurry up and get yours. 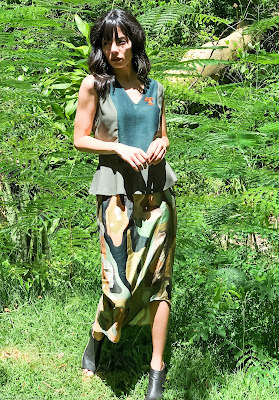 If you get any of my pieces, please send me photos of you wearing either the pants or the top or both to my Instagram @lina.mayorga or my email info@linamayorga.com. Remember to check Vi.Ve Apparel out and comment below your thoughts on my capsule look for them. Inspired by nature, artfully curated pieces for your beautiful life. This is the Vi.Ve. Apparel photoshoot with my clothes in Puerto Rico. 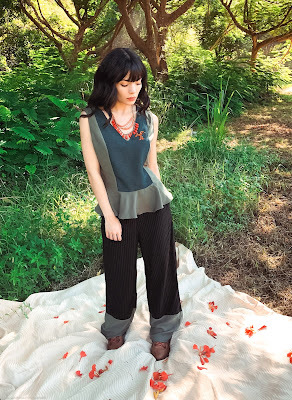 Their lookbook shows my pieces in a more relaxed environment mixed with other pieces from the other sustainable brands that the online boutique carries. Everything goes so well with these pieces!